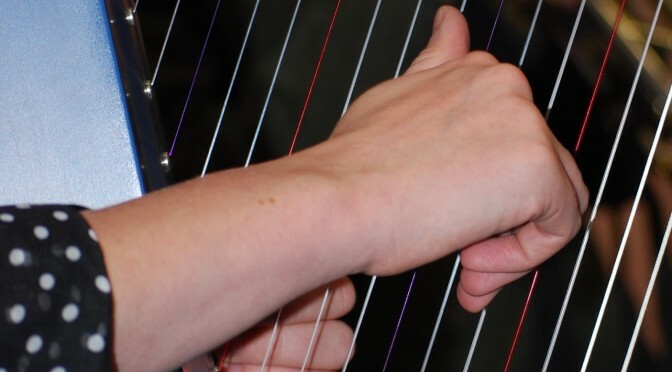 We are delighted to introduce Mary Dunsford, Harpist and OPUS Associate Musician who we have been supporting in establishing a programme of ‘Harp in Healthcare’ at Furness General Hospital, Barrow in Furness. This programme, taking place for the remainder of this year, is supported by funding from the Sir John Fisher Foundation, and sees Mary visiting the hospital on a weekly basis, making music on both adult and paediatric wards, mentored by OPUS Musicians and Trainers. We are delighted to have Mary on board to develop this practice in Cumbria.